What Is It? 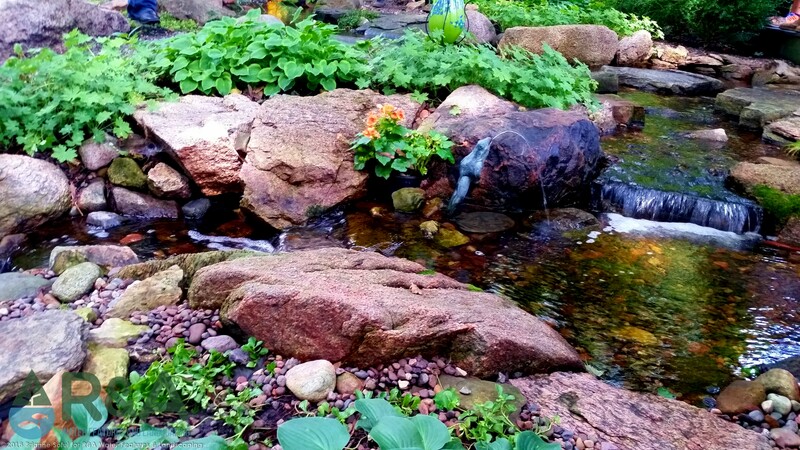 Water spitters are a fun enhancement you can add to your pond. They spout a steady stream of water that adds excitement and circulation t your pond. How Big Are They? Water spitters come in a large variety for your to choose from, so the dimensions vary greatly. 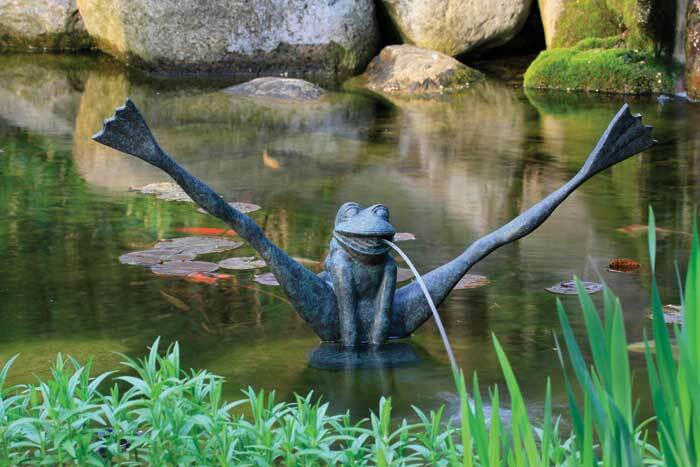 One of the most popular spitters is a cute and fun frog which is about 3' wide and 19" tall. But they come in many different shapes and sizes like a bamboo water pump, a toucan, a crane, and even an alligator. Who Would Love It? 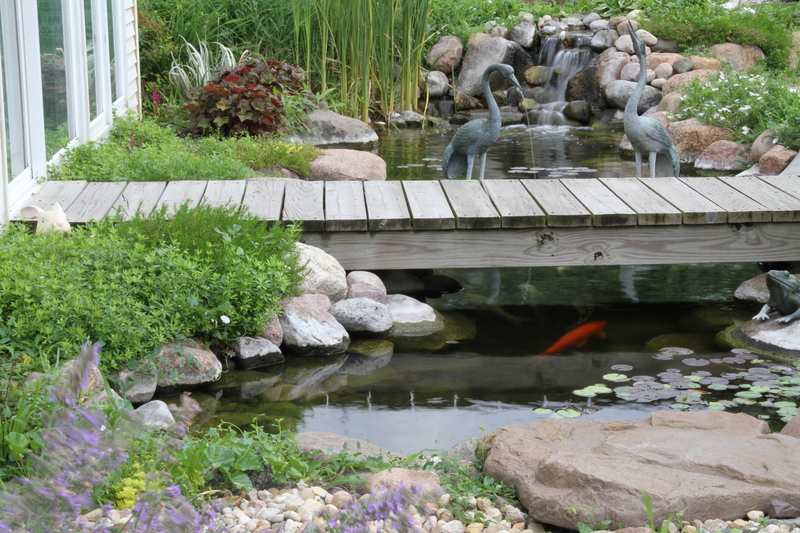 If you have a pond, you will love this enhancement. Our water spitters will add that extra excitement you may be craving and they add that personal touch to your pond without over doing it. What's The Maintenance? Maintenance for our water spitters is one of the lowest, since it's not technically a stand alone feature, but an enhancement to your pond. With your annual spring pond cleaning, we do recommend cleaning the water spitter up and checking the pump to make sure everything is working properly. Where Could I Put One In My Yard? 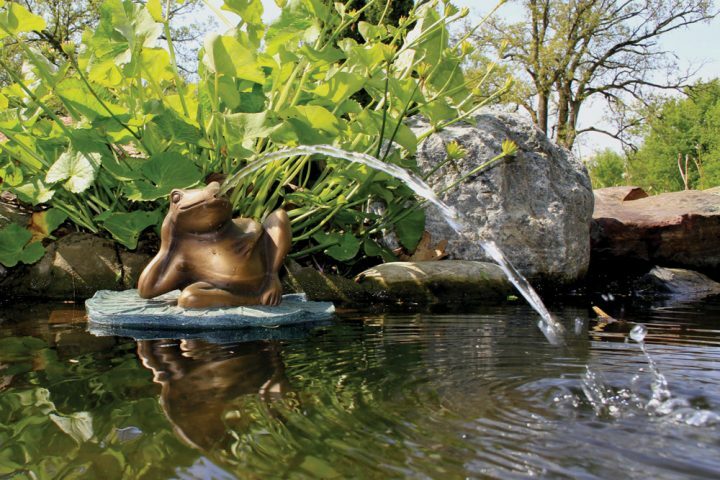 Wherever your pond is, a water spitter will work. You can place one near the pond edge, by the waterfall, or in the middle. Why Would I Want One? With the large variety that water spitters come in, there will be something for everyone. The biggest benefit is the added water circulation you get in your pond with a water spitter, which is always a good thing!